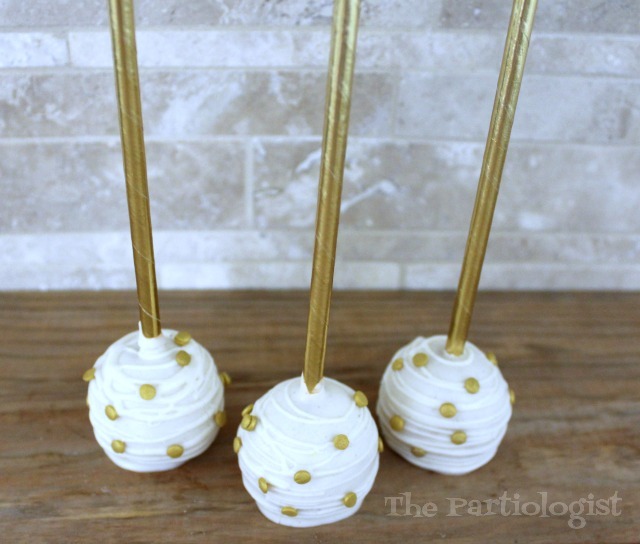 The Partiologist: Bohemian Themed Chocolate Marshmallows and Cake Pops! 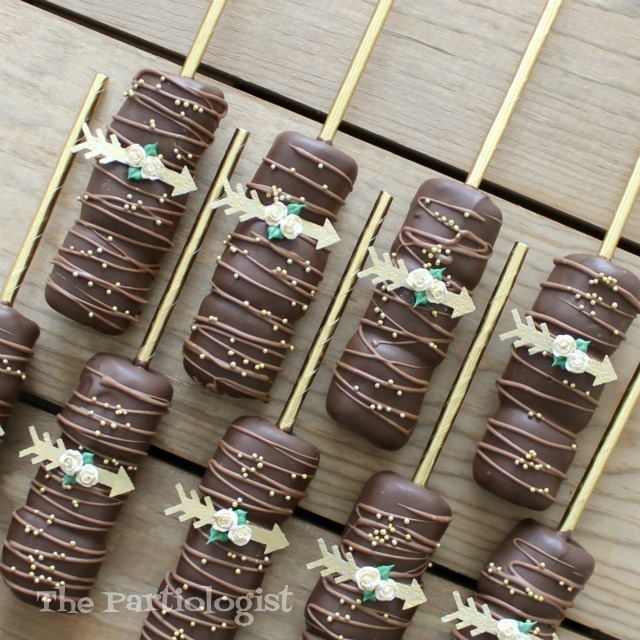 Bohemian Themed Chocolate Marshmallows and Cake Pops! 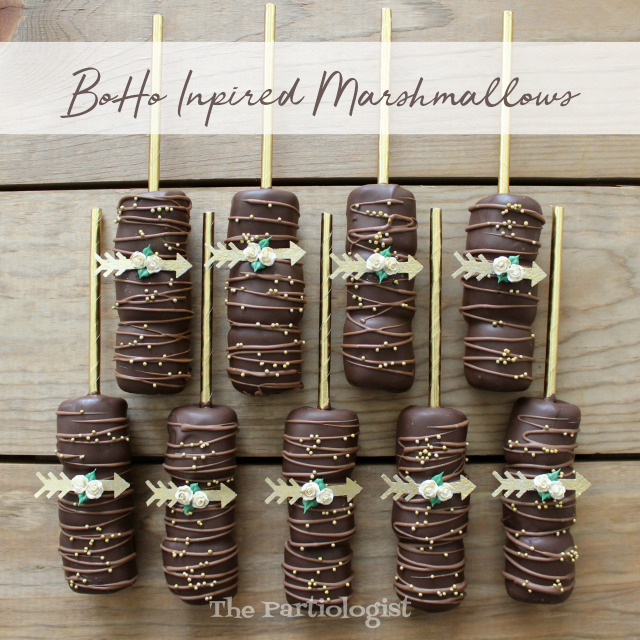 When I have a party, I turn EVERYTHING sweet into a themed treat, including the marshmallows. 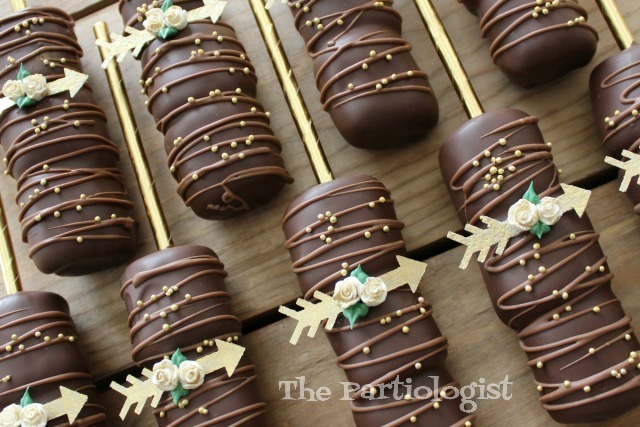 Along with the Cookies, Oreo's and Caramel Apples, Chocolate Covered Marshmallows are another of my favorites. Today you'll love them three times more. Stacked three marshmallows together and dipped. In chocolate. Then decorated. 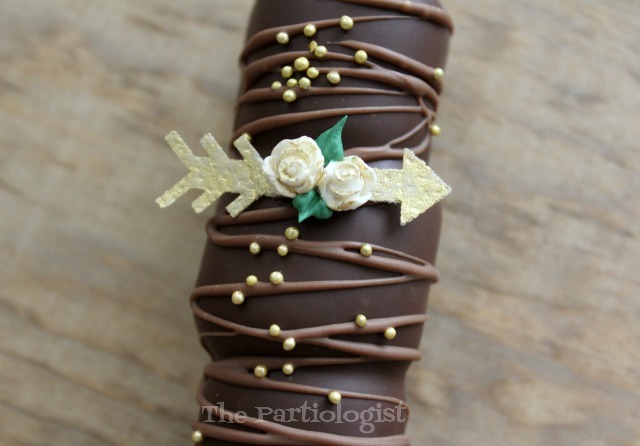 With a gold painted wafer paper arrow, two gold tipped fondant roses and royal icing leaves. It's a party on a Marshmallow! You want one don't you? 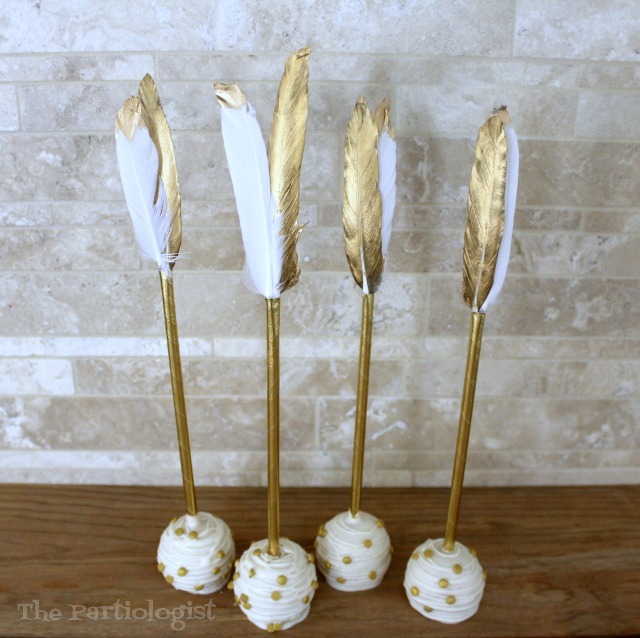 The cake pops were also decked out with feathers, this time stuck inside the top of the golden straw. Then they were dipped and decorated with golden sprinkles. 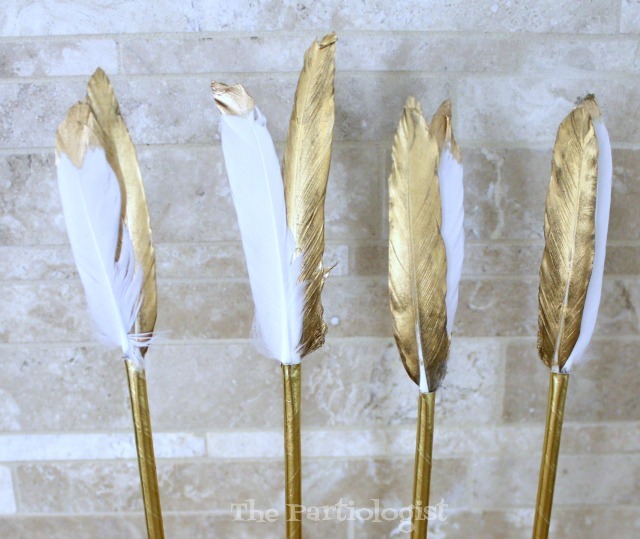 I loved the look of the golden feathers, purchased at Hobby Lobby and Joann Fabrics. Like I said, everything can be turned into a themed sweet! Everything just coordinates perfectly and not one detail was missed. The cake pops are just adorable. Thank you so much, I can't wait to show you the complete display!